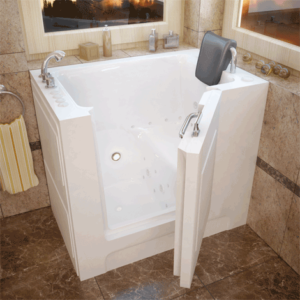 Have you been looking for just the right handicap accessible bathtub? This 3052 option is a great size for most bathrooms. It comes with an internal safety grab bar, drain kit, overflow, roman faucet, handheld shower wand and an extension kit that takes it out to the full 60” space. 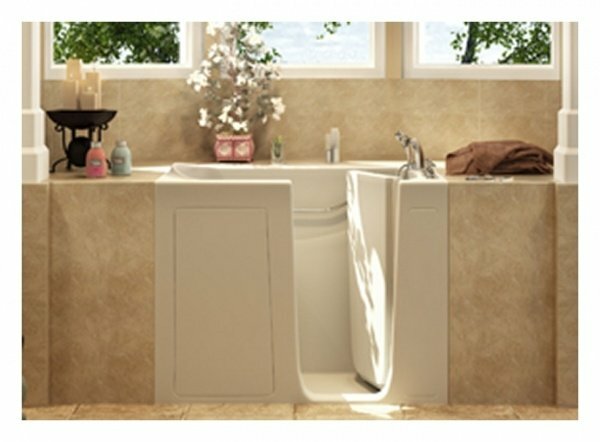 Handicapped bathers sometimes can have a difficult time stepping over a high sidewall to a regular bathtub. This low step in model may make getting into a bathtub more realistic for some. 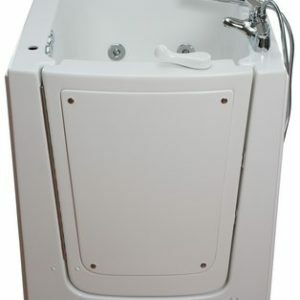 People that have mobility challenges can enjoy sitting in a fixed seat while taking a nice hydrotherapy bath. This might relieve stress for some, especially bathers that get anxiety about falling in the tub. We can give you an instant price quote on many of our products. We try to be upfront and fair about all of our pricing. If you are shopping around, you will see that we offer some of the best quality handicap bathing products, for some of the lowest prices. If you want to get a price estimate on walk in tubs and walk in showers, you should be able to do it with ease. It is important to understand however, we do not do phone quotes for projects that involve installation labor. There are many variables to consider when installing a walk in tub or handicap shower. Not only does it need to be sized accordingly, but you need to look at the water heater, plumbing and sometimes even electrical factors. 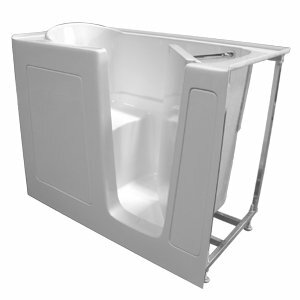 Please let an Aging Safely Senior Bath Representative help you determine the best option for your needs. Most people don’t realize it, but bathroom safety is a very important thing to think about. Planning an accessible bathroom takes a little patience, but ultimately it can pay off with a bathroom that helps you feel more secure. Many people per year hurt themselves in the bathroom. The elderly especially can be at risk for having a dangerous fall. Typically the more precautions one can take, the better. The right solution isn’t the same for everyone. It’s important to talk with family members, doctors and or caretakers to help formulate a fall prevention plan and ideas to make the bathroom as safe as possible. This may include installing safety grab bars, or a step in bathing product with a seat. We want you to have access to safe bath products so you can enjoy bathing again.